WordPress is a way for online users to share, manage and upload online content with other users and with peers including blogs and company websites. The platform has increased significantly in popularity in recent years and the number of users and reasons for using the outlet have changed, grown and developed. There are blogs on everything from fashion, to news and the platform is used to create websites and domains for companies and organizations of all shapes and sizes. 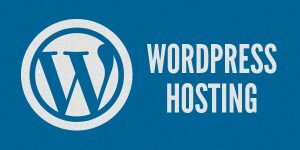 It is for this reason that several web hosting providers and companies have turned their focus to WordPress and found ways to help leverage the popularity by creating services including a new service that we know today as WordPress hosting. The idea behind this managed WordPress hosting is that users are able to hire a company or a concierge to handle all of the technical and analytical aspects of WordPress. The WordPress Host is responsible for the WordPress security, its speed and efficiency, the updates, backups as well as uptime and scalability. Essentially this means that the user is simply responsible for content creation and management. The idea is to take the leg work out of running a website, blog or online business and allowing users to focus on other areas of their expertise, the service was designed with new WordPress users and business owners in mind. WordPress Hosting is beneficial to new online users, or those without vast online experience. These users will largely benefit from the support offered by the service. The service is managed by a team of experts who tailor and manage your WordPress site to your needs and taste. Premium support is offered by access to these experts in real time, at all times. This means that you basically get an extension of your team, an addition. Many describe this service like having an army of experts in your corner. The service is also beneficial to those using WordPress for business purposes, whether it be a company website or an actual online business. The experts used will help manage the site so that business owners and employees can focus on other areas of their business and do what is within their areas of expertise. These benefits offset the cost associated with WordPress Hosting. It is an arguable expensive service, but when weighed against the cost of hiring someone, or the opportunity cost of time that would be invested in managing the platform against time that could be used elsewhere, the service speaks for itself. There are numerous WordPress Hosting services, and the number increases as the popularity of WordPress increases. WPEngine is unique in that it is VIP WordPress host meaning that their services are diverse, throrough and relatively robust. They pride themselves on security, and ensure that your blog or site on WordPress is essentially locked up to hackers and other internet/online threats. They are also notorious for prime service and support from experts in real time. The automatic updates and backups are only the beginning, WPEngine also offers one-click restore points, caching, top tier security, and more. WPEngine is used by big name brands such as HTC and FourSquare. Another host is SiteGround, one of the most popular and best rated provider in the industry. Their support is second to none and their top of line security is praised and recognized by many. WordPress themselves recccomend the service. Siteground stands out as one of theonly companies that offer location specific hosting with three different centers in the USA, Europe and Signapore. WordPress beginners receive a significant discount as well.